Vicky’s Baskets are an exciting collection of handmade baskets made from a variety of different types of fabrics, resulting in one-of-a-kind creations to help you organize your home in a fashionable way. They also make wonderful gifts. Based in Egg Harbor, N.J., Victoria Cox is the artist behind these whimsical baskets, which are available in small, medium and large sizes. They’re flexible so it’s easy to store just about anything. They’re perfect for the kids’ toys, knitting supplies, magazines and more. They’re also great way to present wedding or baby shower gifts. Vicky uses a number of different color schemes, which she keeps updated on her website, and also accepts requests for custom made orders if you’d like to create your own color combination. 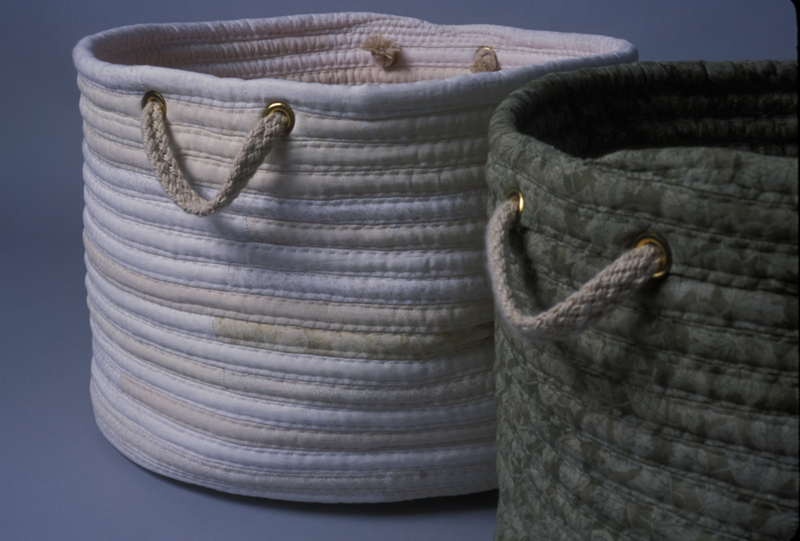 Since the baskets are made using different fabrics, no two baskets are the same, even if you choose identical color schemes. These creative baskets are both attractive and functional, so stop by Vicky’s Baskets and find the perfect one for you.